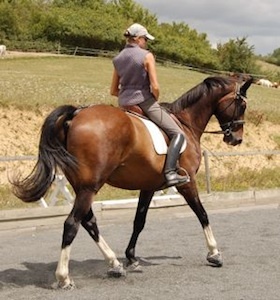 How To Ride Dressage… Real Dressage! Answering the question of how to ride dressage depends entirely on how we choose to define the term 'dressage', and exactly what it means to each rider. If, for you, dressage means the challenge of making the horse perform a predetermined series of figures and movements, with sufficient precision to give you high scores in competition, with the potential rewards of success and recognition, then this article won't help you much. Nor if what principally inspires you about dressage is the gratification involved in making the horse progress through the performance of dressage movements in any scenario. To discover the path of how to ride dressage, or what we call 'real dressage' - the gymnastic art of connecting with the horse's movement and bringing it into a channeled and balanced flow - you have to be passionate simply about the physical and energetic feelings you get when you are on a horse's back. You have to crave the wonderful sensation of weightlessness combined with power… perfect balance in motion without constraint… a deep union with the horse's body and mind. You have to let the search for these feelings come above ALL else! To let them guide and instruct what you do in every moment you are on a horse. You have to have the inner strength to be able to turn a blind eye to the criticisms of those who see dressage in a different way - a way that is obsessed with surface appearances - and listen to the feelings your horse gives you. This is why it is often said that the horse is our best teacher, because only the horse can tell you what is true in the mysterious realm of the dynamics of motion. Once you have made the choice to learn how to ride dressage from the feelings it give you, and to make these feelings your priority, you must start a long and challenging process of forming your body in a very specific way. This is the way of using your body that is capable of bringing the horse into balance through postural engagement, instead of seeking balance by blocking the flow of the horse's movement in various ways. This path of development requires that you first give up your control of the horse on a superficial level (precision of direction, speed etc.) in order to rediscover control through a much deeper connection. Forming your body in the way that generates the postural engagement of the horse is about acquiring a series of skills with each part of your body, and bringing them together to form a balanced and dynamic combination of gymnastic influences on the horse. 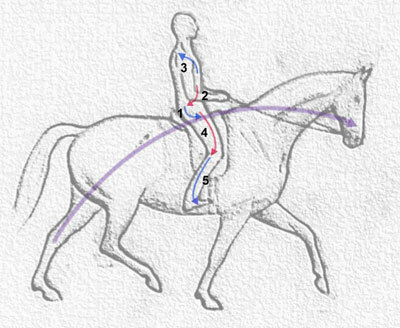 In this way, the rider's body is made up of a series of alternating functions: those which connect with and promote the forward flow of the horse's movement, and those which provide the postural resistance it takes to channel this flow into balance, resisting any unbalanced forces that arise. 1. The adhesive seat is the main fulcrum of the rider's connection with the horse. We must set about making it deeply and consistently connected to the horse's movement. 2. Working upwards from the seat, the next step is to put in place the postural resistance of the core muscles, which is partly responsible for bringing the longitudinal flow of movement that the seat has connected to into balance. These are already two alternating functions which engage with the horse in different ways. 3. The engagement of the core muscles has the effect of pulling the riders shoulders forwards and down, into an undesirable hunched position. This effect must be balanced by opening the shoulders and taking them back behind the seat. The orientation of the adhesive seat causes the rider's thigh to lift forwards into the 'chair' position. 4. Once the seat is well enough established, the rider must work on bringing the thigh back into its correct position underneath the seat. With this backwards stretch, the thigh - like the core muscles - takes on a role of postural resistance. 5. Once the thigh is sufficiently stretched back, the lower leg can be trained to refine up its job of aiding in a forward direction, generating the energy that feeds the horse's forward movement, and massaging the sides in a way that creates the essential yielding response. These are the five alternating functions of the rider's body in the longitudinal plane. To this we add a crucial sixth function, which is the rider's lateral control of the posture, through the weighting of the seat and leg. 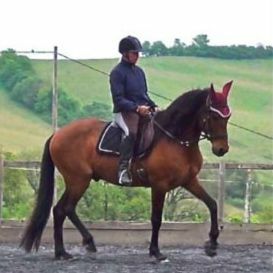 Of course, at all stages in the process of learning how to ride dressage in postural balance we are trying to bring all of these parts of the position into place as much as possible, and there are different aspects of riding that are useful for each (e.g. 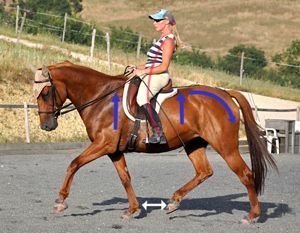 sitting trot for the seat adhesion, riding trot for the leg development), but we must know how to prioritise each part in turn, until that part is well enough established that the following 'opposing' part can be worked on without negating it. When all of these elements of the rider's body come together, a powerful tool is created for generating postural engagement in the horse - a transformation of the horse's body which is in fact very similar to the one I have just described in the rider. 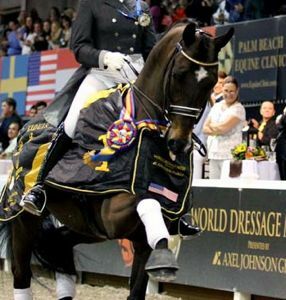 Where Does The Path of Real Dressage Go? When you have formed your position successfully enough to bring about the horse's engagement on the ring of postural muscles, it is as if you set in motion a mechanism in the horse that takes it's own path, at it's own pace. 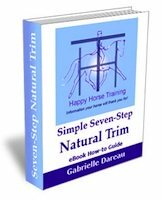 This path is, overall, a process of gymnastic transformation in the horse's body, which depends entirely on that particular horse - his conformation, temperament, and physical and emotional issues. In each moment of the session when you are working your horse, if you make engagement the priority, then it will equally decide what exercises you use to generate, enhance and consolidate it. In our experience in developing the understanding of how to ride dressage in this way, the movements and exercises that are needed to enhance engagement tend to follow, in general, the progression through training that is traditionally understood in dressage. This development is determined by the progression from crookedness towards straightness, and, in turn, from a lesser to a greater ability to collect. However, the exact timing, application and duration of the different levels of training can only be truthfully known for each individual horse, if we prioritise the feeling of engagement. Engagement is the 'pole star' in our journey through the shadowy landscape of how to ride dressage from within. Developing the skill of how to ride dressage in engagement takes all horses towards the beauty of a channeled, balanced and unrestricted flow of movement. The level of training at which this is manifested depends largely on the natural athletic abilities of the horse, but for ALL horses this training is therapeutic for body, mind and soul. 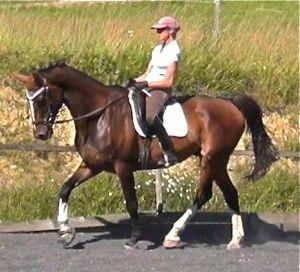 Now you can see why letting outside influences govern your dressage riding and training is a completely and utterly different approach from this. Everything is decided by the rider (or trainer), and is then superimposed onto the horse, right down to the exact way the horse carries his head and neck (whether that is high, low, above or behind the vertical). The focus on the feel that the horse gives to the rider through engagement is lost, because it is so often sacrificed to perform such and such a movement or pattern at exactly such and such a time and place. This is why riding dressage without the orientation of the polestar of engagement can so easily go astray, as it so clearly has in competitive dressage, right up to the highest level of the sport (see Rollkur: A Valid Debate?). Riding dressage in this way may yield spectacular 'results' with a talented horse, who is athletic enough to perform what is demanded of him in spite of its gymnastic incoherence, but there is none of the inner transformation that magically occurs when we know how to ride dressage in engagement. The natural beauty of these talented horses' movement is wasted, because it has not been unified, channeled and balanced in the way that allows a human being to become part of it, without stifling it and eventually snuffing it out. With untalented horses, many of which have problems and difficulties with being ridden, ONLY the inner transformation, that is brought about by being trained in postural engagement, is capable of giving their movement elegance, power and suppleness. It is precisely by working with such horses that we, personally, have come to understand how to ride dressage through engagement, because it is the only thing that works! 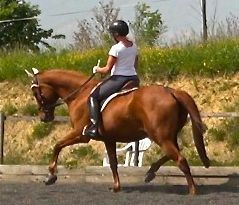 If more riders understood how to ride dressage in postural balance rather than in restrictive balance, then the talented horses, which are these days increasingly numerous, could be turned into truly magnifiscent works of living art, instead of ending up losing the basic purity of their gaits, and often finishing their relatively short career with physical and psychological problems. 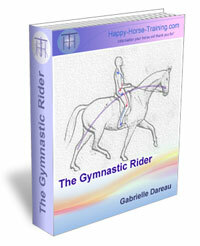 If you would like to know how to take the fascinating path that it learning how to ride dressage through engagement, The Gymnastic Rider is an eBook available from Happy Horse Training, which takes you through - in great detail at the same time as practical simplicity - the process of forming your body into this unique and powerful tool, capable of transforming any horse from within. 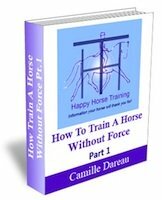 How to Ride a Horse in Balance, gives full details, as well as the opportunity to download the free 15-page introduction to this extensive 55 000 word eBook.